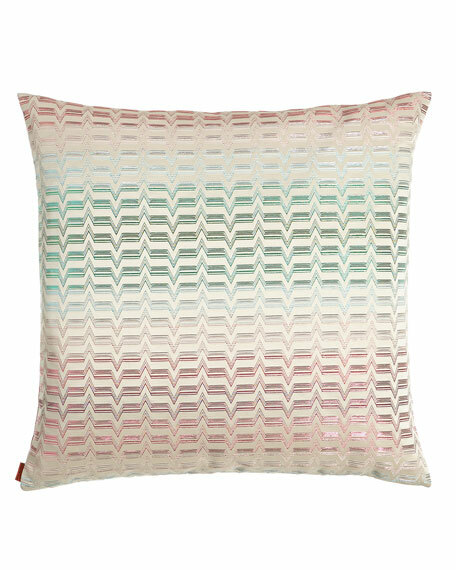 Missoni Home Tikal Pillow, 24"Sq. For in-store inquiries, use sku #2175241. 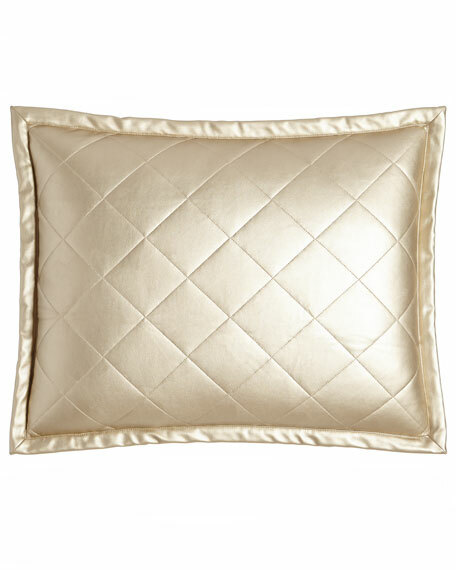 Quilted faux-leather pillow. Polyester shell. Feather/down insert. Zipper closure. 22" x 18". Wipe clean. Imported. Leather-front pillow has clear lacquer print. Sueded polyester back. Feather/down insert. 16"Sq. Spot clean. Imported. 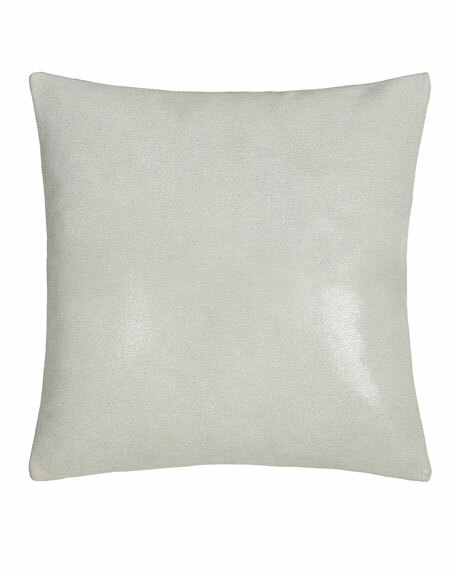 Donna Karan Home Flokati Pillow, 20"Sq. 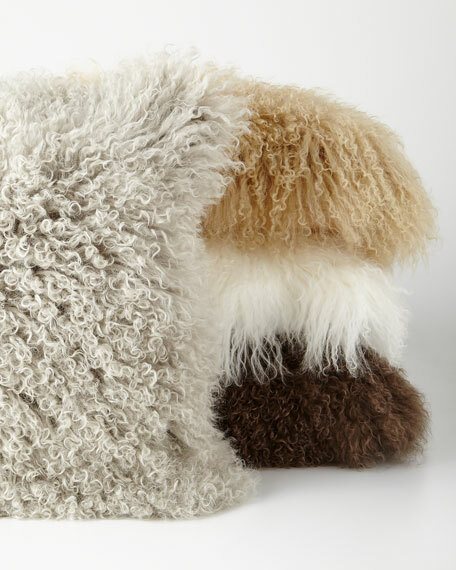 Flokati wool pillow . Dyed sheepskin (China) face. Polyester reverse. Feather/down fill. 20"Sq. Dry clean. Imported. Donna Karan Home Moonscape Flokati Wool Pillow, 11"
Flokati wool pillow. Dyed sheepskin (China) face. Polyester reverse. Feather/down insert. 11" x 22". Dry clean. Imported.